On its first trading day as BlackBerry, the stock of the smartphone and tablet manufacturer soared 15%. Part of the reason was an upgrade by Bernstein Research to "Outperform". It was the first time in three years that Bernstein has had such a rating on Research In Motion or BlackBerry. The company also raised its price target on the stock from $12 to $22. In addition, news that the launch of the BlackBerry Z10 had gone very well, had buyers lined up to buy the stock almost as though it were the white variant of the Z10, which has sold out in some U.K. stores. 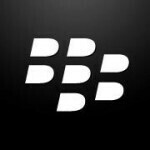 The new ticker symbol is BBRY on NASDAQ. The stock started out life as Research In Motion and traded as high as $140 in 2008 before dropping to under $7 this fall. The shares closed Monday up $1.96 to $14.98 for a gain of 15.02% on the day. Nearly 83 million shares traded hands. Not all analysts are bullish on the stock. GMP Securities analyst Deepak Kaushal cut his rating from "Reduce" to "Hold" as he sees little in BlackBerry 10 that will attract smartphone buyers back from competing platforms. nice BBRY!!! i will always believe in you!!! This is encouraging. Reports of half a million sold on opening day is not a tremendous blowout that one might expect from an Apple product, but it is not at all bad either. To put that in perspective... the first year of Windows Phone 7 devices didn't even sell that many units in the entire US... in an entire year. So, things are already looking up for BlackBerry. I liked the concept of "Flow" when I heard way back with rumors of BB10 and I have been keeping a close eye ever since. And I loved it now. Although I don't have HATE-relation to any OS other than the iOS but I think BB10 is truly an OS I would love to use now. So far it is most fitting to my likeness due to amazing REAL-Time multi-tasking and integrated messaging and notification center, and of course the "Flow". This made MeeGo/MaeMo/Sailfish in second number now and let see how this/these guys will do when they show up in public in next handset. Unfortunately (for me) BB10 will stay exclusive to BlackBerry handsets (Yes I remember the rumors of licencing it out too), I did like Z10 as device but IF Looks and Strength of Xperia Z merge with Hardware-features of Lumia 920 with BB10 as OS and I will make a deal with devil to have a set like that anytime. This phone will fail and RIP or we can only hope!